Michael J. O’Neil is President and co-founder of Green Leaf Partners. Mike manages the acquisitions process where he focuses on locating and securing multifamily assets. Mike brings over 28 years experience in commercial and multifamily development and construction with a proven track record of negotiating and closing complex, sensitive transactions with multiple partners. Prior to his current position with Green Leaf Partners, Mike was an acquisitions consultant with RCMG. He was also a Partner/Vice President of Acquisitions with Legacy Partners where he managed new development in excess of $350M across the Western United States as well as significant involvement in over $2B in real estate acquisitions. 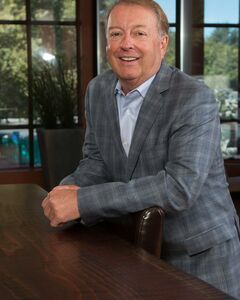 Prior to his time with Legacy Partners, Mike successfully founded and oversaw the growth of a forty five employee residential construction firm that built houses throughout Northern California.